The Andrews Labor Government will fund a $3 million grant program to help grow the new energy technology sector in the Latrobe Valley. Minister for Energy Lily D’Ambrosio today announced the Latrobe Valley Microgrid Grant Program, which will help accelerate the uptake of renewable energy..
A re-elected Andrews Labor Government will help Victorians save around $890 a year on their power bills with half price solar panels at no up-front cost. Jeff Kennett and the Liberals privatised Victoria’s power industry, promising competition would lead to cheaper electricity prices, but the.. The Andrews Labor Government will provide more than $1.1 million to fast-track industry-upgrade projects in Victoria’s recycling sector. Minister for Environment Lily D’Ambrosio today announced that three recycling companies would share in the funding to help improve the quality of processed materials. The Recycling Industry.. The Andrews Labor Government is providing $10 million in grants to continue the rollout of technology that will help prevent bushfires caused by powerline faults. Minister for Energy Lily D’Ambrosio today announced non-government high voltage customers will be eligible for grants of up to $250,000.. 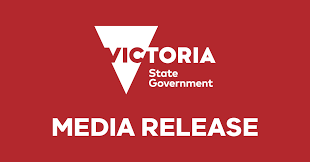 The Andrews Labor Government has appointed 25 directors to Victoria’s seven Waste and Resource Recovery Groups. The Waste and Resource Recovery Groups are implementing the Labor Government’s Recycling Industry Strategic Plan with local councils across Victoria. The 25 directors, including nine reappointments, commenced their roles on 1.. The Andrews Labor Government has withheld support on the proposed National Energy Guarantee until it supports lower bills, lower emissions and more renewable energy jobs for Victoria. Minister for Energy Lily D’Ambrosio moved with other jurisdictions to postpone approval of the NEG at today’s COAG.. The Andrews Labor Government will only support the proposed National Energy Guarantee (NEG) if specific conditions are met that keep energy prices low and support local jobs. The conditions will ensure the Victorian Renewable Energy Target – and the thousands of local jobs it supports.. The Andrews Labor Government will fund the biggest recruitment of seasonal park rangers in Victoria’s history to protect the state’s natural wonders over the busy summer period. Minister for Environment Lily D’Ambrosio today announced $2.8 million for Parks Victoria to hire 100 seasonal park rangers..
Communities across Victoria have responded overwhelmingly to Pick My Project, putting forward more than 2000 project ideas to the Andrews Labor Government’s community grants initiative. Victorians will soon be able to have their say, with voting for projects across the state to open on Monday.. The Andrews Labor Government has released a management plan for the Belfast Coastal Reserve that will better regulate dog-walking and commercial horse training along the coastline. Key features of the 15-year management plan include: a ‘Conservation Zone’ prohibiting horse riding and dog-walking a ‘Conservation and.. The Andrews Labor Government is giving locals the opportunity to provide input into future improvements for air quality in the inner west. The Minister for Energy, Environment and Climate Change Lily D’Ambrosio and Minister for Roads Luke Donnellan today announced the Inner West Air Quality.. The Andrews Labor Government is acting to protect Victoria’s precious biodiversity and threatened wildlife by declaring the feral cat as an established pest animal. The declaration applies to areas of Crown land managed by the Department of Environment, Land, Water and Planning, Parks Victoria, Phillip.. Passenger trains will return to Mernda for the first time in almost 60 years from Sunday 26 August, with the South Morang line to become the new Mernda line. Premier Daniel Andrews joined Minister for Public Transport Jacinta Allan, Member for Yan Yean Danielle Green.. Residents living in Geelong’s Multicultural Aged Care Centre Services (MACS) will soon have access to cheaper energy, thanks to a 520-panel solar project funded by the Andrews Labor Government. Minister for Energy Lily D’Ambrosio joined Member for Geelong Christine Couzens to open the project, which.. The widespread power outages during the 2018 Australia Day weekend heatwave were due to failures in privately-owned distribution networks, not lack of energy supply, a new report has confirmed. Minister for Energy Lily D’Ambrosio today released the Victorian Government review, which has made 15 recommendations.. The Andrews Labor Government has announced almost $2 million in funding for Victoria’s Landcare and other environmental volunteers in the latest round of the Victorian Landcare Grants program. Minister for Environment Lily D’Ambrosio joined Member for Yan Yean Danielle Green to welcome the establishment of..
A project funded by the Andrews Labor Government to help stop powerlines from sparking bushfires has had an early breakthrough. Minister for Energy Lily D’Ambrosio approved a $650,000 grant to Melbourne-based technology company IND Technology to fund its Early Fault Detection system (EFD) on the..